These Sonic the Hedgehog have a total of 6. They are good ornament. bedroom, car, drawing room and so on. They are also the children's toys. If for any reason you are unhaapy with your purchase or your wall decal,please contact us! We appreciate every customer and every order is important for us! 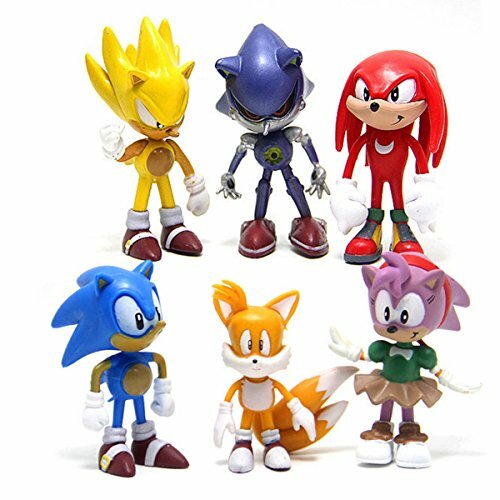 Great Gift for Kids and Sonic the Hedgehog Fans! It can make neat unique gifts, cake toppers or even party favors! If you have any questions about this product by STEAM, contact us by completing and submitting the form below. If you are looking for a specif part number, please include it with your message.